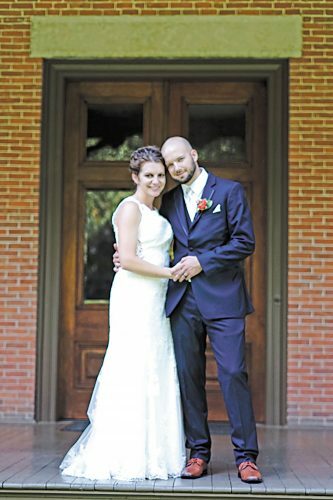 Casi Mathews and Scott Elmlinger exchanged wedding vows at 4:30 p.m. Saturday, Sept. 17, 2016, in Marysville. Trent Bowers was the officiant during the double-ring service. The ceremony and reception took place at the Goodwin residence. 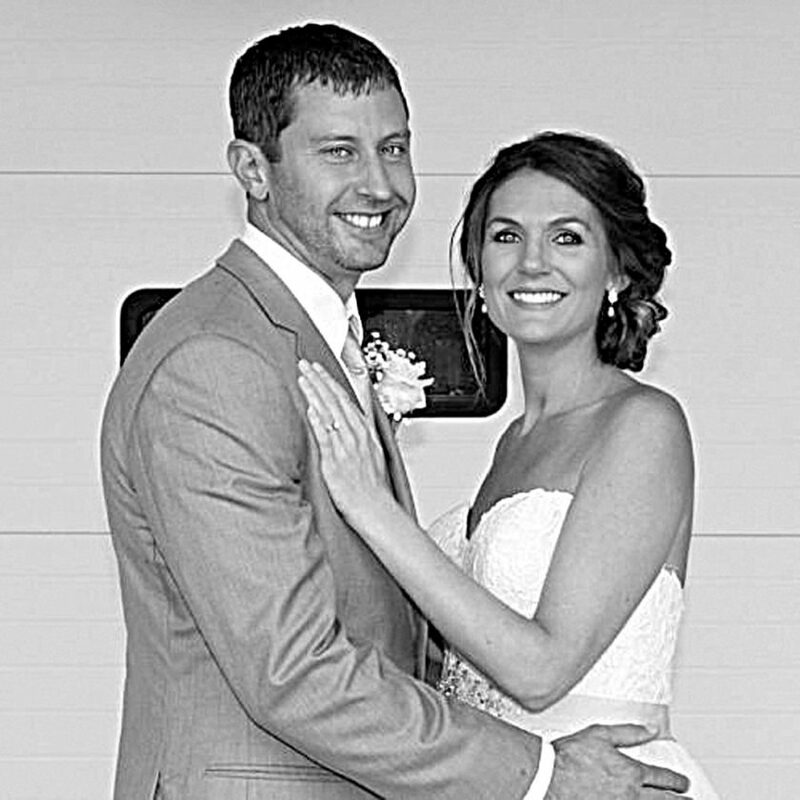 The bride is the daughter of Rich and Cathi Creviston of Prospect. The groom is the son of Mark and Berti Elmlinger of Attica. 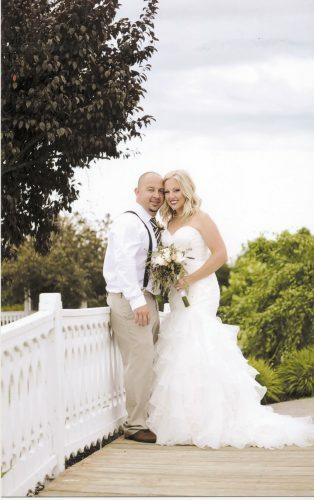 The bride, given in marriage by her three daughters, wore a strapless gown with an ivory empire bodice and sweetheart neckline decorated with lace. The waistline was accented with a champagne satin sash with rhinestone embellishment. The skirt was made of champagne satin with an organza overlay. The back was accented with buttons down the bodice and a semi-cathedral length train. She carried a silk bouquet of ivy, white and pink flowers garnished with rhinestone brooches. The bride’s attendants wore chiffon and lace gowns in shades of blush, champagne and ivory. 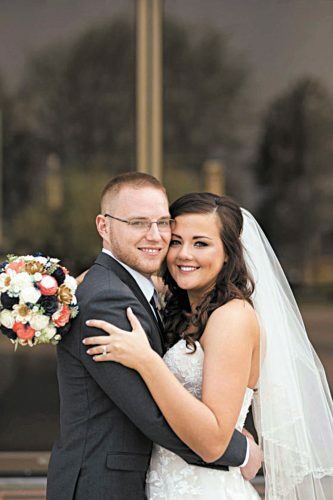 Abby Hensinger of Marysville, friend of the couple, was the matron of honor. Junior bridesmaid was Brooklyn Mathews of Prospect, daughter of the bride. Both carried pink hydrangea and baby’s breath bouquets. Callie and Isabelle Mathews, daughters of the bride, were the flower girls. Brian Kessler of Galena, friend of the groom, was the best man. Groomsmen wore light gray suits with vests and neckties and had baby’s breath boutonnieres. 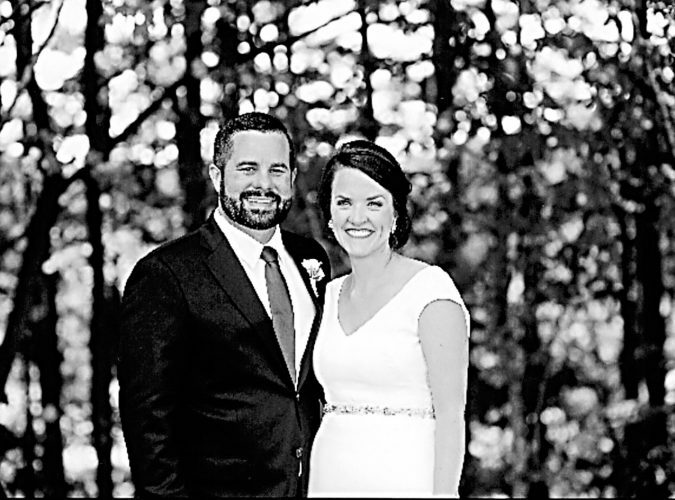 The bride is a 1998 graduate of Elgin High School, a 2002 graduate of Capital University and received a master’s degree in educational leadership from Ashland University. She is a second-grade teacher at Navin Elementary in Marysville Exempted Village school district. 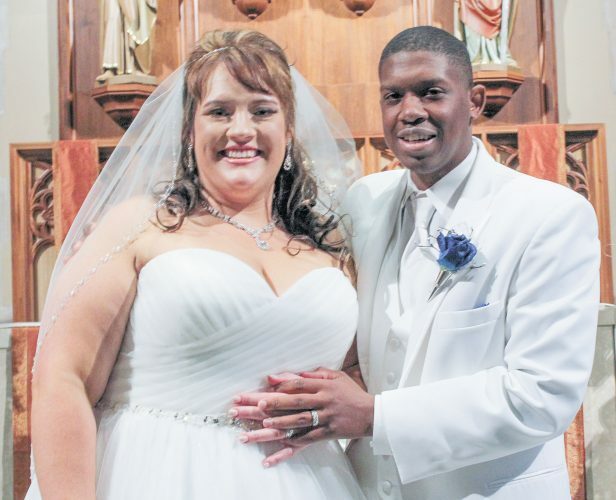 The groom is a 1999 graduate of Seneca East High School and a 2003 graduate of Heidelberg University. He is a software engineer at Cardinal Health. A rehearsal dinner was at Benny’s in Marysville. The couple resides at 4014 Boundary Road, Prospect, OH 43342. A honeymoon is planned for June.